The Ultimate Apple Experience: “Explorer’s Festival” this Columbus Day Weekend! 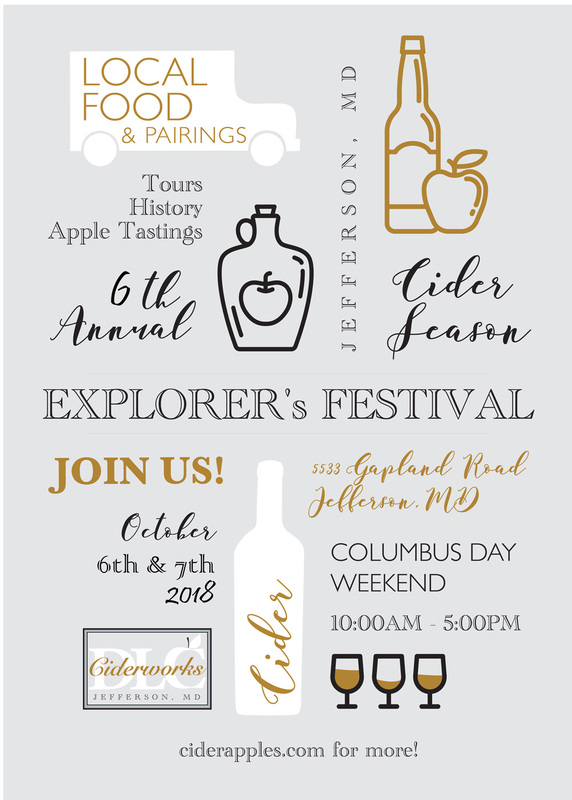 Distillery Lane Ciderworks, Maryland’s original craft hard cider maker, will host the “Explorer’s Festival” on Saturday and Sunday, October 6 and 7 from 10 -5. Join us for the ultimate apple experience – tastings of over 20 varieties of apples, our fresh and hard ciders, apple picking, tours of the 3,000-tree orchard and other apple-related activities. 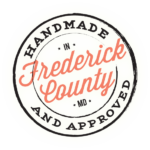 Distillery Lane Ciderworks produces internationally award winning hard ciders on our farm in Jefferson. Our sustainably managed orchard was planned and planted to produce the highest quality hard ciders, styled on historic American, English, and French ciders. The 6th annual festival features beekeeping, cider pressing, and cooking demonstrations, along with cider and apple tastings and tours. Cider master Tim Rose will host demos on cooking with DLC apples, showing, for example, why some apples are better in pies and others reserved for drinking or eating. Twelve hard ciders, including DLC’s latest entry, Chesapeake Rumrunner, will be available for tastings all day to our visitors over 21. Admission and parking are free. No reservations are required. Apple and fresh cider tasting are free. All tours and demonstrations are free. Hard cider tastings are offered to those over 21 for a nominal fee. Cheese plates from our neighbors at Caprikorn Farms and farm fresh sausages from Whistle Punk Farm will be available for purchase, as well as a selection of baked goods.